A jumble of rivers and canals. That tricky 'where is Hounslow' moment. Drag the landmarks to the yellow pin points. A painted, wooden predecessor to the iPad app. 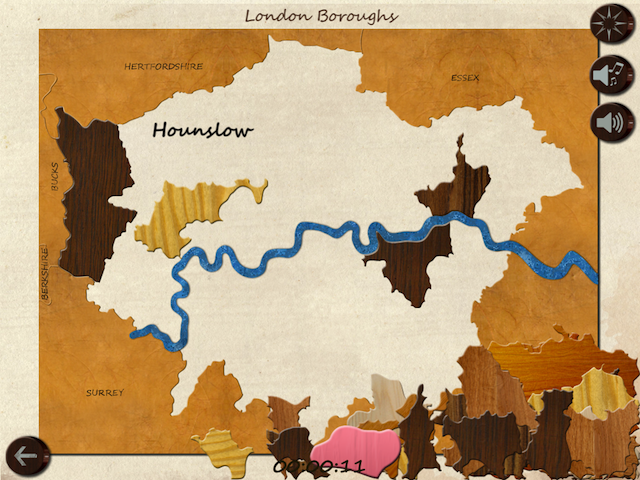 A dazzling new app for iPhone and iPad plays with London's geography in ways that'll have you gawping with delight. London Jigsaw scrambles up the prominent features of the capital; it's your job to drag them back to their appropriate locations. Can you coax the 32 London boroughs (plus the City) to the correct corners of the capital? How about London's waterways? 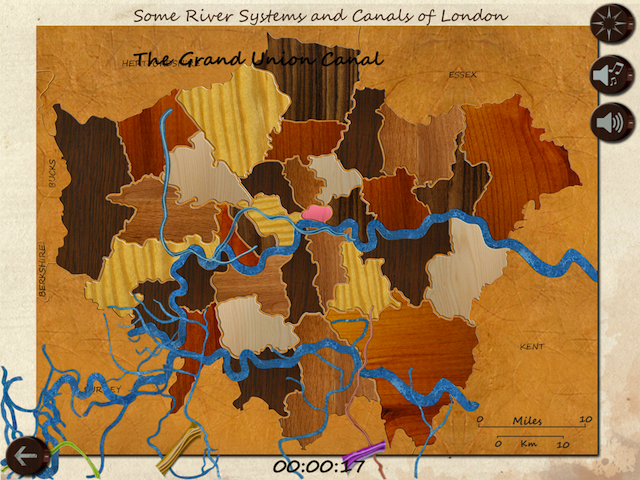 The Thames and Lea are easy, but can you place the Rivers Crane, Effra and Ravensbourne? Can you match the Olympic sports to their venues? Perhaps you'd fare better at the parks? Or tourist attractions? The interactive puzzle is beautifully produced, with textured objects and cute sound effects (listen out for the birdsong when you successfully place a park, or the water-plop sound of a located river). Each level is timed, allowing you to challenge previous high scores and link up to the Games Centre for global high scores. In my teaching career, I yearned to find these puzzles to purchase for the school, but sadly by then, the company was no longer trading. In the late 90s, I was taken very ill. As I lay for several months in bed recovering, the childhood memories of these puzzles returned, and I began to think that I should revive them. 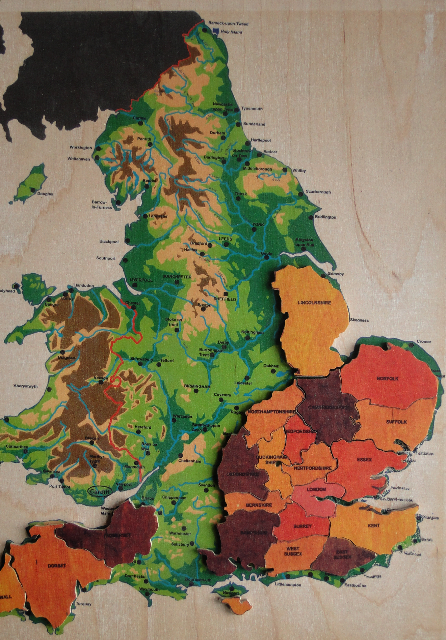 Catherine first tried building a map of England and Wales from wood, with a geological layer for the base and placeable county pieces for the jigsaw layer. Her beautiful prototype is shown in the gallery above. But then Catherine recovered, went back to work and the project fell fallow. Then in January 2010, the iPad came out. As soon as I saw this wonderful machine, I knew I wanted one, and that [it] would be the platform for my Jigsaw...I played with it, learnt it, played games on it, enjoyed it. In Jan 2011, I took early retirement, did my tracings on the iPad's screen and overnight decided not to do England and Wales...the iPad deserved a NEW idea. 'London and its boroughs,' I thought. Then within three hours, the sketches for the other four maps as bottom layers were on paper. 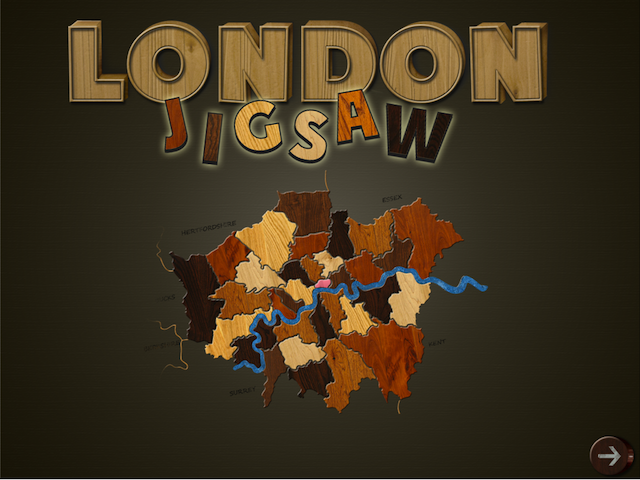 London Jigsaw was born. 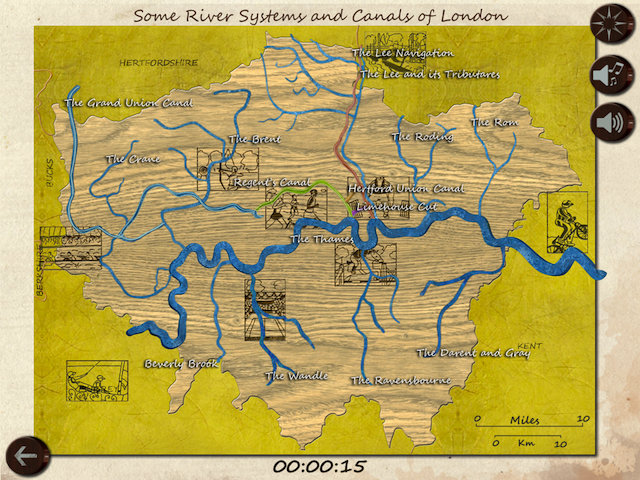 It's one of the most inventive London-themed apps we've seen, and we'd encourage anyone with a suitable device to give it a try. It's not only great fun, but an intelligent way to get a better handle on how our city is put together. We'd love to put this in front of the mayoral candidates and see which of them can do the borough challenge the quickest. 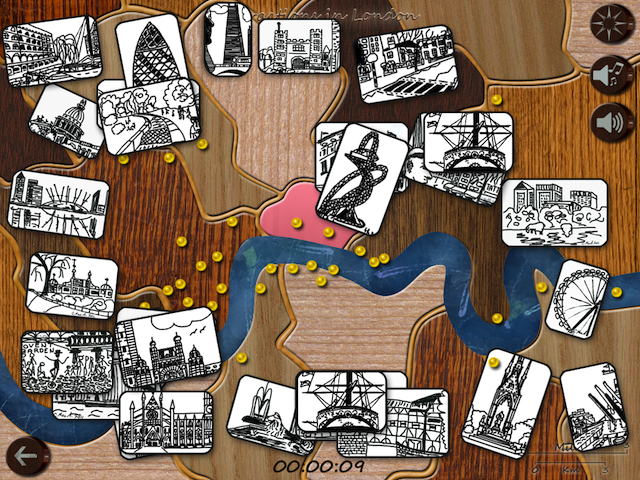 London Jigsaw is out now for iPad and iPhone (£1.99 and free, respectively) from Capera Ltd. Follow London Jigsaw on Twitter.